HomeChoice Planners and Construction Corporation has been an advocate of different services and programs for the community. As long as there are things that HPCC can be of good service, then the company will lend a helping hand. Recently, HPCC has yet again lent its helping hand to the fellow Kagay-anons who were affected by the Tropical Storm Seniang. The said tropical storm made headlines last 30th of December 2014 wherein it rained for several days in some parts of the country. 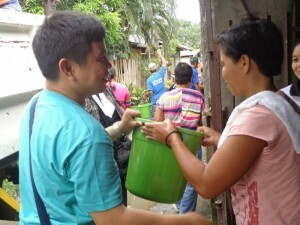 One of the greatly affected areas was Misamis Oriental and one of its municipalities suffered from great flooding. And this municipality was the place where HPCC did an outreach program. Last 17th of January, some of the HPCC staff went to the municipality of Tagoloan to hand out goods to those who were affected by tropical storm Seniang. 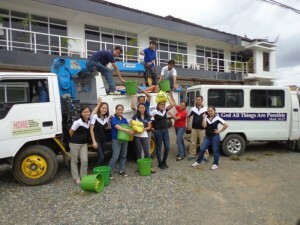 With this outreach service, HPCC has collaborated with CDO First Assembly of God church and Hope is a Gift Ministry. It was such an overwhelming feeling to be able to help over 100 families. The goods given were not that much but it’s the thought that counts right? Seeing the smiles and hearing the recipient’s words of gratitude are such a heavenly feeling. Because God blessed HPCC together with its church partners that’s why they choose to share the blessing to other people, especially those who most needed it. The outreach service was a success; HPCC is so grateful for the help that they were able to render for the Tagoloanons. This outreach service is not the first and it wouldn’t be the last also. Being a blessing unto others has always been the company’s motto; and because the Lord Almighty has blessed HPCC, they will continue to live with the motto. May God bless us always.